Primary Image was commissioned to create a technically-demanding website for the Young Railway Professionals to help meet their growing needs (replacing their previous site). In a first for the rail industry, it includes a fully-featured social network at its heart, taking inspiration from LinkedIn, Twitter and Facebook. … amongst many other features! The in-built events calendar system can be updated by the YRP committee via both front-end and back-end forms. 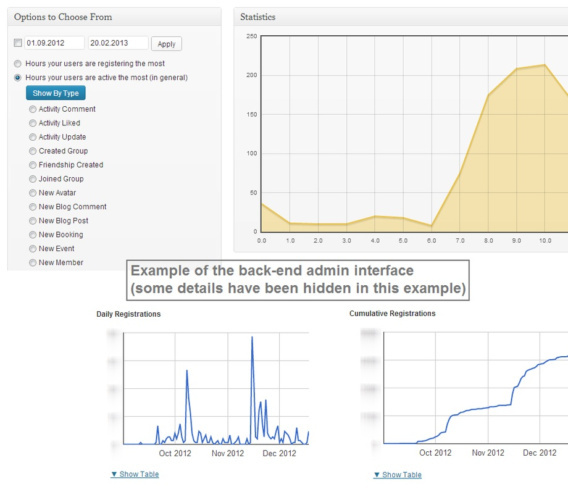 The powerful back-end system uses our customised version of WordPress, allowing the YRP to update the website, manage their users (including pending users – those who have signed-up but not activated their account), set prices / attendance limits / discount codes and much more for events, and see a number of graphs and statistics to monitor the popularity of their website. 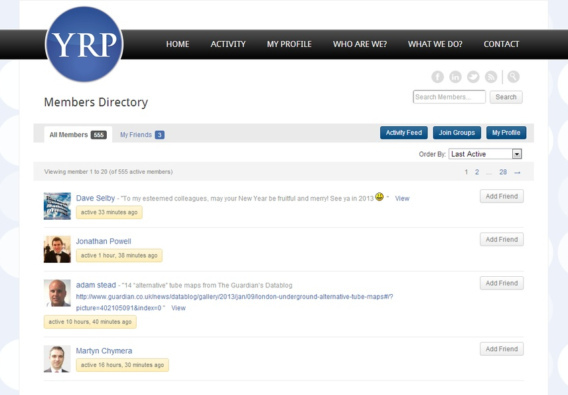 A newsletter system is integrated into the site, allowing the YRP to send out messages to their members. In addition, users of the website can join and subscribe to email updates from the various online message forums, such as Operations, Track & Signalling, High Speed Rail, etc, allowing them to engage in discussion and debates. Users control the digest settings themselves, e.g. all topics, daily, weekly, etc. In addition, a Twitter feed is pulled into the site, whilst new news articles are automatically posted to Twitter and Facebook. A clickable timeline feature also features in the website’s “about” section so that visitors can read about the organisation’s key milestones. Also check out the banner stands, business cards, logo, flyers and brochure that our Primary Image team designed for the YRP. 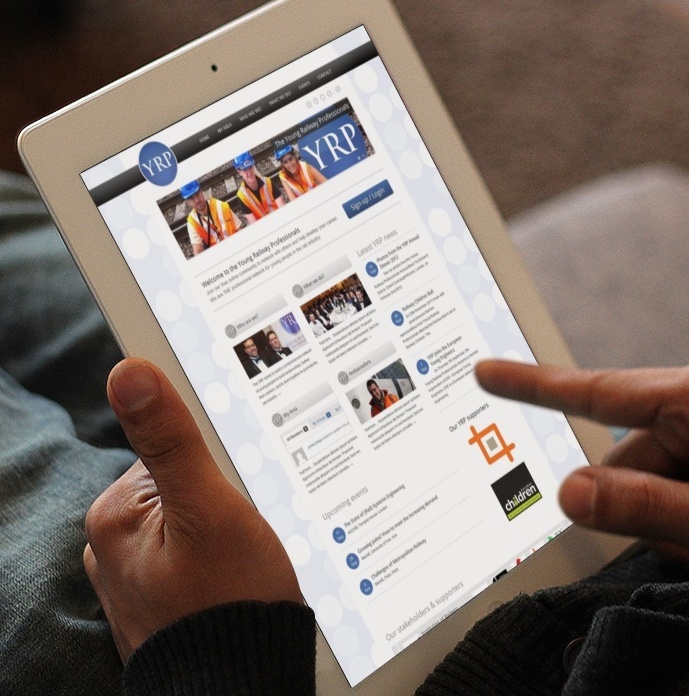 The YRP is exceptionally proud of the work that Primary Image has carried out to deliver an industry-focused, social networking site that delivers the best in capability that is on offer elsewhere, at exceptional value for money. The flexibility, expertise and customer focus experience has been first class.